Here is your chance to contribute to Stories of Famous Saxophone Players. So far we’ve written a few reviews of some fantastic Famous Saxophone Players, and no doubt there will be plenty more added in the near future. 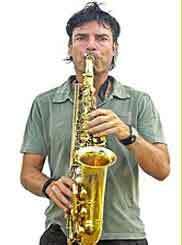 Have you been jamming with Famous Saxophone Players? The readers on this website want to hear any stories of when you’ve been jamming or playing live with a famous saxophone player. Tell us you Brag Moment. What song were you playing? Did you rip out a solo and steal the show? How did you get invited up there to play?